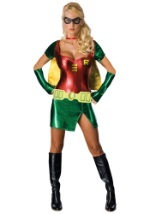 You will be prepared to battle the scum of Gotham City with this Adult Authentic Robin Costume. The highly realistic superhero costume consists of a jet black, long-sleeved shirt and matching elastic waist pants with closed bottoms. 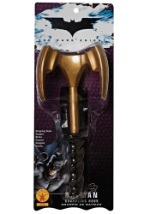 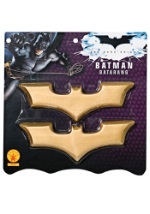 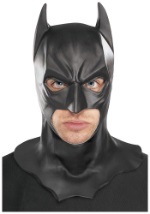 In addition, each article of black clothing is made of fantastic quality polyester and muscled shaped armor pieces fit over these items on the waist and chest. 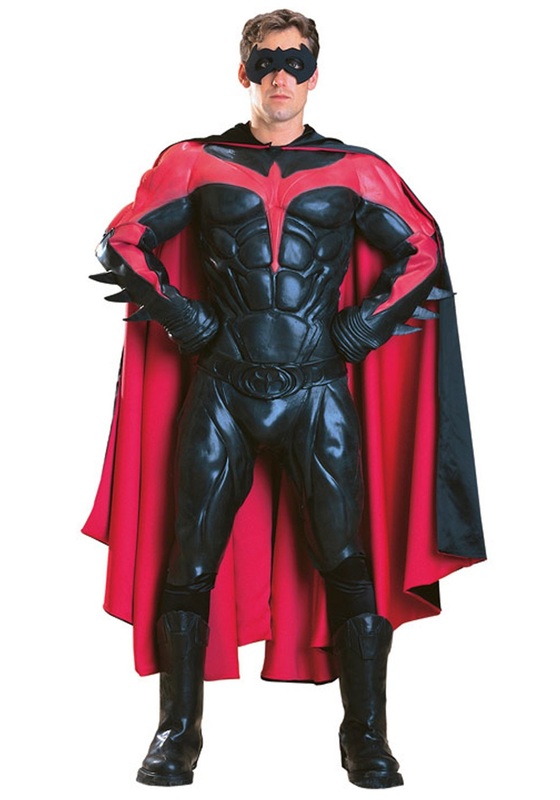 Plus, the Robin logo is spread across the rubber-like chest piece, which has a Velcro closure in the back while the thigh armor has three ties that wrap around your legs and waist. 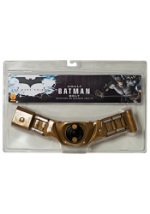 Also included is a black rubber-like belt, boot covers and long gloves that stretch to the elbows. 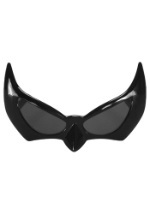 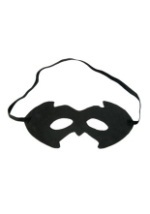 A classic black eye mask completes this superhero costume. 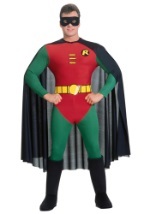 Fly into action this Halloween in our Authentic Robin costume.